The traditional way of getting into the workforce consists of going to school to get good grades, then going to college to get better grades, just to ask someone to pay you to do work they themselves don’t want to do for 40 years or more, just to retire on 40% of your income (if you’re lucky). This method has worked for many to make a living, but for Craig Kotter, he made it through a semester and a half of college and decided that this wasn’t the way for him to make a life. So, he dropped out, got married, and started his own business at 21 years old. 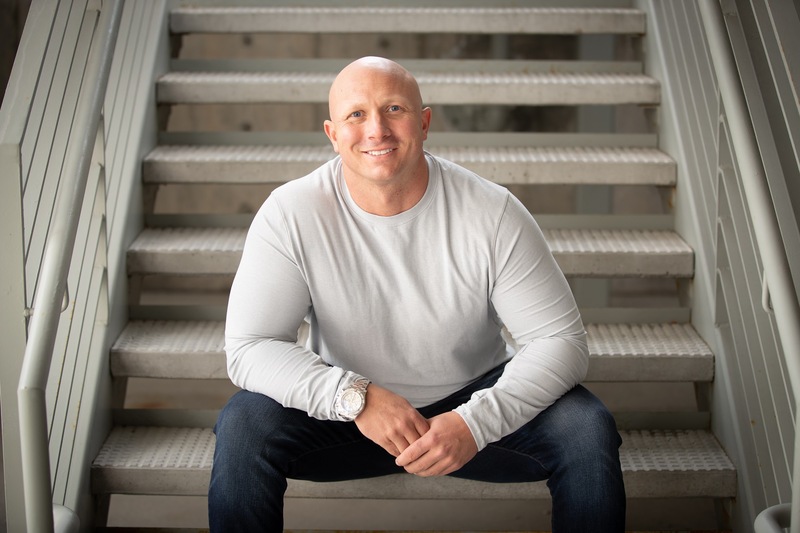 For the first two years in his business venture, Craig spent nearly every dollar he made from selling phones at a retail store and window washing investing back into his business. He faced an abundance of challenges, one of which was the uncertainty of success from his wife; Craig recalls her wanting to be positive and supportive, but when the money was going out faster than it was coming in, he could sense the defeat she felt. Still, Craig pushed on. He knew what he wanted, and even better, believed he could get it. He wanted freedom – time and financial – to spend with his family. He wanted to travel and explore, and most of all, he wanted to make sure that when his time was up, his future family was secure. Despite the pitfalls he faced, Craig struck some gold in his third year as a business owner, and suddenly, the floodgates opened. The efforts that Craig put forth were rewarded not only financially, but also mentally, and ultimately, he started truly living the life he so desired. Craig, now 38, has been an entrepreneur for 17 years. In that time, he has extremely successful careers as both a distributor and as a corporate executive within the Network Marketing space. He has built a reputation of honesty, positivity, and integrity, which is what Craig feels really sets him apart from others in the industry. In that time, Craig has also had three children with his bride and have been blessed and able to travel with them without concern or stress. The life he has built is inspired by his family, and Craig is determined to continue building a legacy that lasts far longer than his lifetime. 1. Constantly work on personal development. The journey is much more fun when you start to realize that it’s not only about where you get to, but who you become in the process. 2. Don’t quit when things challenge you. This is a chance for you to grow, to learn. 3. Find true mentors. True mentors are those who have either been where you are and/or have what you want. Some of mine are Tony Robbins, Jim Rohn, and Jeff Bezos. 4. Hang around people who have a common future, not a common past. The Law of Association is a VERY real and powerful thing. 5. Do whatever it takes to win! Your success is ultimately up to you. There is no cap on what you can achieve and accomplish, so don’t settle for anything less than what you want. From a college dropout to a millionaire in the industry, Craig is living proof that limitations only exist in your own mind.